Another hugely successful performance year saw three Cycling Southland's Eddie Dawkins, Stephanie McKenzie and Ross Machejefski named as finalists in the ILT Southland Sport Person of the Year awards at a Cocktail function held at Ascot Park Hotel last night. The awards recognise performances in the 12 months from 1 April 2011 to 31 March 2012. Dawkins, who was also a finalist last year, was one of five named in the Sportsperson of the Year after he earned a bronze medal and a fifth placed finish at the Beijing and London World Cups as part of the Men's Team sprint trio. 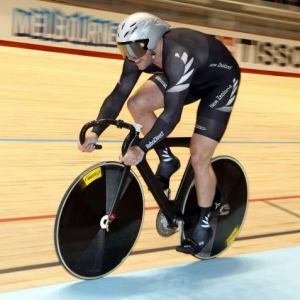 During the period he also lifted the trophy as the Male earning the most points at the Elite Track Championships in Invercargill in February by taking gold in the sprint and silver in both the keirin and team sprint. 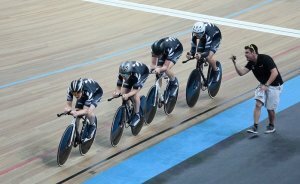 In April (outside the qualification period for this year) he became the first New Zealander to break the 10 second barrier for the sprint and took a bronze medal alongside Sam Webster and Ethan Mitchell at the World Championships in Melbourne and was named in the New Zealand team to ride at the Olympics. McKenzie was one of five Junior Sportsperson finalists on her achievements at the 2011 UCI Juniors Track World Championships in Russia last August. She earned a silver medal in the sprint with a qualifying time which was just 0.011 seconds outside the world record as well as taking silver in the keirin, bronze in the team sprint and finished fourth in the 500m Time Trial. After a break following Worlds she stepped up to the senior ranks for the first time at the Oceania Track Championships in November taking three fourth place finishes before taking a gold, silver, bronze and a fourth at the Elite Track Nationals in February. 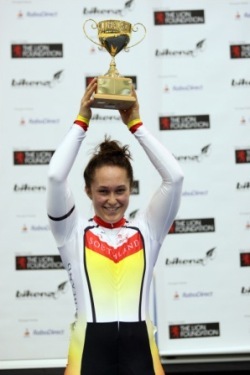 Steph was also named Junior Track Cyclist of the Year for the second consecutive year at the championships. Machejefski's efforts in leading the historic New Zealand campaign at last year's Junior World Track Championships earned him a finalist spot in the Coach of the Year category. He oversaw the squad of 11 which returned ten medals and three fourths from the 16 events contested in Moscow last year. He also assisted with the Southland Track squad which retained the National Points Shield at the 2012 Elite and Age Group Track Championships and was again named as Lead Coach for the Junior Track squad to contest the 2012 World Championships. Overall winners will be announced at the Sportsperson of the Year awards at Ascot Park Hotel on June 8th. The event will feature former All Blacks coach and Warriors GM of Football John Hart as guest speaker and will be hosted by Cycling Southland Chief Executive Nick Jeffrey.